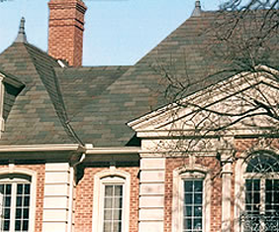 Slate Roofing | Dallas, TX - Scottie Ballantyne Roofing Inc. Installing a roof to last a lifetime requires using a company that has the experience to create a lifetime roof. For more than half a century, our company has been the one that residents and building owners in North Texas and beyond turn to for high-quality craftsmanship and exceptional customer service. Backed by a legacy of excellence and training similar to traditional Scottish apprentice-to-master style, we assure our customers the highest level of workmanship for their homes, commercial buildings, and places of worship. Are you considering Investing in a roof that will last a lifetime? About Scottie Ballantyne Roofing Inc.
Duncan "Scottie" Ballantyne, Sr. established Scottie Ballantyne Roofing Inc. in 1965, and since that time we have provided customers in the area with exceptional services. As a master slater, who was trained in his native country of Scotland, Scottie brought the tradition and perfection of his trade to the United States. When he formed our company, he patterned it after the old world system of training an apprentice under a master for four years. Today, Duncan Jr. follows in his father's footsteps by preserving his legacy. He took over the company in 1995 and continues to provide the quality and personal service that our customers deserve and have come to expect. 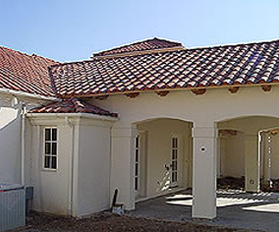 We are one of the few roofing companies that continue to use only our own specially, trained employees.